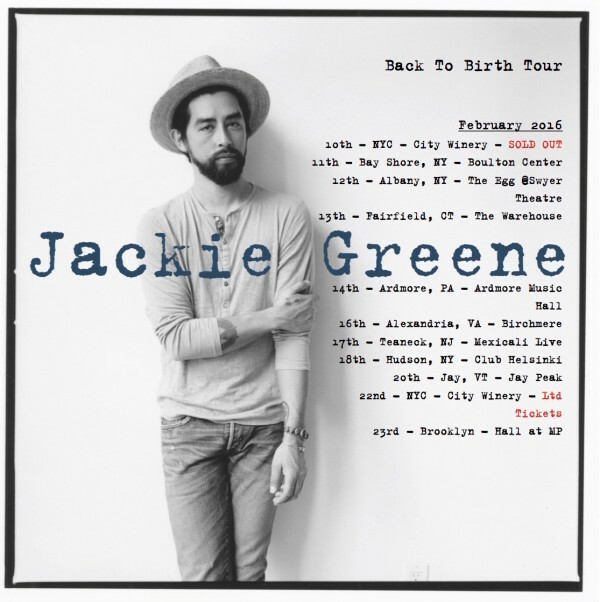 Singer-songwriter/guitarist/multi-instrumentalist Jackie Greene has confirmed the first 2016 dates for his “Back To Birth” tour in support of his seventh studio album of the same name. The February run includes two shows at City Winery in New York City and dates throughout the Northeast. Full list of dates are below. Back To Birth is available now and includes the singles “Trust Somebdy,” which has just reached 1 million plays on Spotify, and “Now I Can See For Miles.” Since its release on August 21, 2015, the album has been a staple at Americana radio leading to its inclusion in the Americana Music Association’s Top 100 most played albums of 2015. Back To Birth was produced by Los Lobos member Steve Berlin, and was recorded at Portland’s Supernatural Sound. The 11-song set features Paul Rigby (guitar, mandolin, pedal steel guitar); Damian Erskine (bass); Reinhardt Melz (drums); Jason Crosby (violin, string arrangements) with Greene stretching out on a number of instruments including guitar, piano, organ and drums. TICKETS FOR JACKIE GREENE TOUR DATES ARE AVAILABLE HERE. Older PostJackie to join Anders Osborne for his 4th Annual Holiday Spectacular in New Orleans!